Join us at the Cambridge Junction on February 19 for five true personal stories about science and family. Hosted by Fiona Calvert and Steven Puente. Steve Scott is a professional science communicator based in Cambridge, UK, with a passion for helping scientists to find ways of sharing their stories with the public. He’s particularly interested in what makes you, you as he loves exploring human genetics and genomics but is just as enthusiastic about aviation and the golden era of Hollywood musicals. Carmen Diaz Soria is a Postdoctoral Research Fellow at the Wellcome Trust Sanger Institute. She uses single cell sequencing and functional genomics tools to discover and study genes associated with a parasite called Schistosoma mansoni. She is originally from a city called Holguin in Cuba and moved to the UK in 2003. After several years working in healthcare, she started a university degree in Molecular Genetics at King’s College London and also did an extramural year at Ely Lilly (UK). She recently graduated from the University of Cambridge with a PhD in Biological Sciences. Whilst finishing her PhD, her daughter Alma was born. At the moment, they are all happily living in Cambridge, UK. Andrew Holding is a Senior Research Associate at Cancer Research UK’s Cambridge Institute and a Fellow of Downing College, Cambridge. His research programme brings together his experience of cutting edge mass spectrometry, DNA and RNA sequencing techniques with computational biology to investigate the function of the nuclear receptors. Andrew has worked on many science outreach and public engagement projects including founding and organising Skeptics in the Pub in Cambridge, which holds monthly talks by various speakers with the aim of highlighting the application of critical thinking and scientific method. Sarah Brady is a storyteller, teaching artist, and writer who relocated to England from the United States a year and a half ago due to her paediatrician husband's job. To say that science has had an impact on her family would be an understatement. 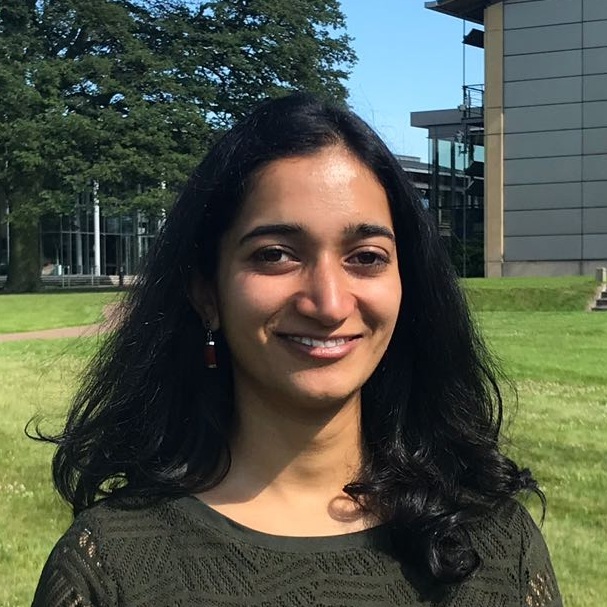 Sushmita Sridhar is a PhD student at the Wellcome Sanger Institute and Cambridge Department of Medicine studying antibiotic resistance in the bacterium Salmonella Typhimurium. When not busy counting bacterial colonies or planning the next experiment, Sushmita enjoys finding new ways to communicate science to a broader audience, be it through science festivals, science comedy, or now even science storytelling. Outside of science, Sushmita enjoys spending time experimenting with sourdough bread (wait…is this science, too?) and being outdoors.